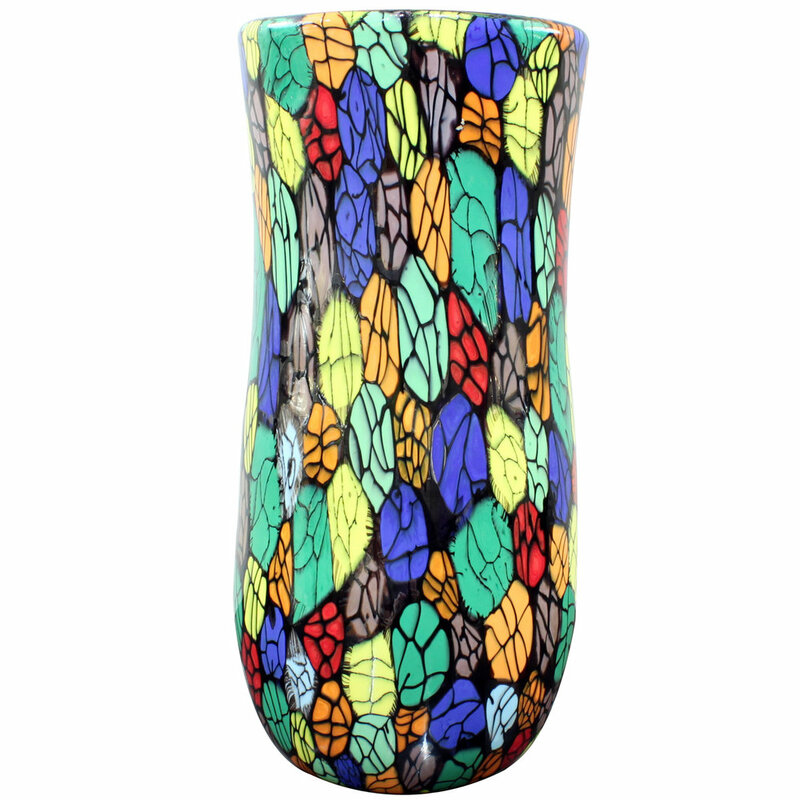 Hand-blown glass vase with unique colorful murrhines by Vittorio Ferro for Fratelli Pagnin, Murano Italy, ca. 2000 (signed, "F. lli Pagnin by Vittorio Ferro"). 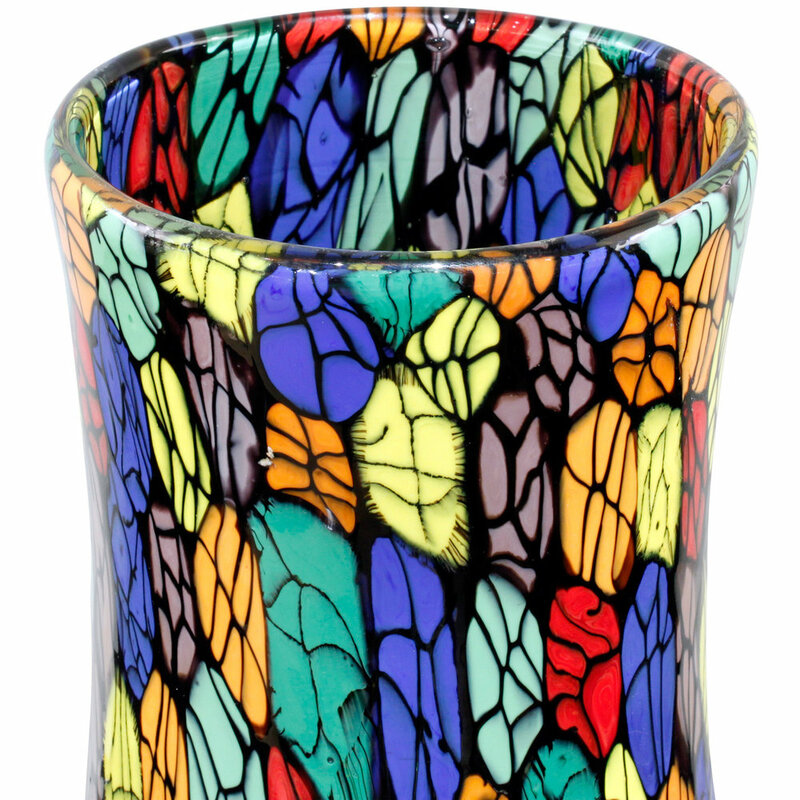 Vittorio Ferro has been a glass master since the 1950's when he worked for Fratelli Toso. His murrhines and rods are unique because he made them himself. He stopped blowing glass shortly after this series. 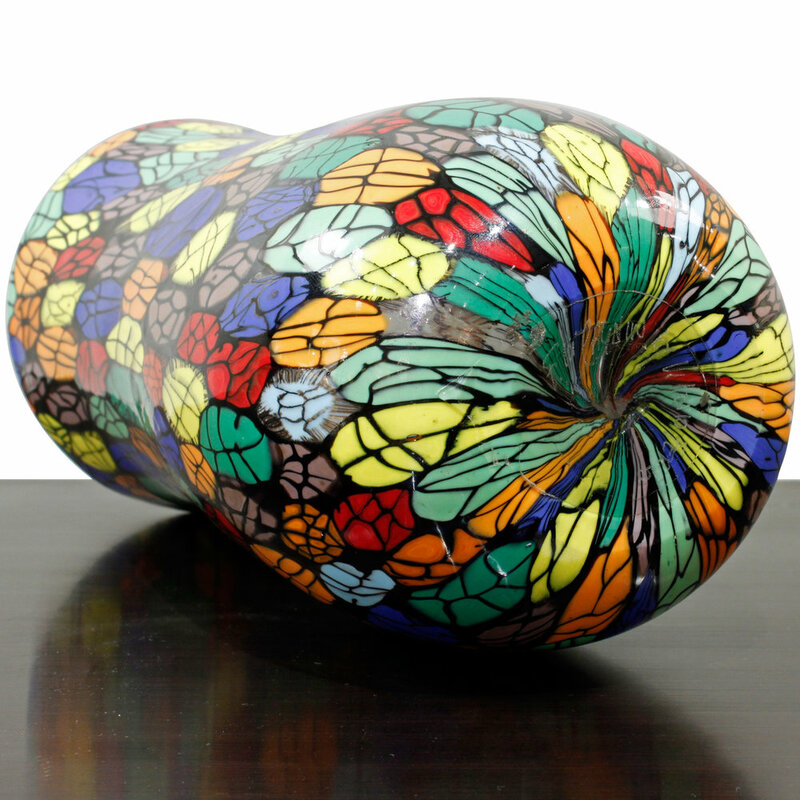 Literature: Murrine From Murano, One Man's Art in the Glass of Anotherby Adrian Odell, 2013. Similar examples throughout.